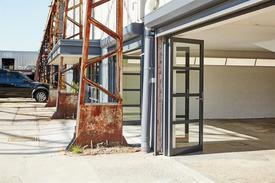 Street Frontage Exposure right on the Precinct 75 main entry…….if you need to be noticed this ground floor creative showroom / studio / workshop is prefect. Suite 2.05 is a light filled open space, with internal toilet and duel glass entries all set up and ready for your business to thrive in. The possibilities in this inspiring space are endless! Precinct 75 has it all......Sample Coffee Roasters serving great coffee and Willie the Boatman microbrewery Tasting Room! High speed internet is immediately available, there is free on-site parking and Sydenham train station is only a 6 minute walk away. * 1,700 + GST per week + outgoings * Approved for food - current use sushi takeaway/restaurant * Excellent exposure * Corner position * Minutes from station. PRICE REDUCED - VERY ATTR.. Price: Contact Agent! Great ground floor entry .. Price: $390 (Per week. Gross + G..